In the past two weeks or so we notified you of the intention by Tanzania National Parks Authority (TANAPA), to introduce increased Concession fees for lodges and permanent Tented Camps and Tented Lodges located within the National Parks and that has come to pass. Beginning 1st July TANAPA; the government agency charged with manning and running the National Parks started the new charges officially. Usually the Concession fees are charged by TANAPA to the lodges and tented camps located within the parks borders and this is more or less like the Camping fees usually charged by the same authority to mobile tented camps and to clients who stay at special campsites. The permanent lodges have been paying this fee but now the authority has started charging that in earnest beginning 1st July 2017. Usually most lodges used to pay 10% of the half board rate per person which has been very reasonable for them but now it is a flat rate of USD 59 in the premium parks like Serengeti and USD 47.2 in the wilderness parks like Tarangire for example. Prices of safari in Tanzania are bound to rise slightly owing to the fact that this money at the end of the day has to be covered by the end user in which case it is the safari goers. The short introduction notice of these changes have really rubbed safari operators and lodge owners the wrong way give n the fact that safaris are sold well in advance. 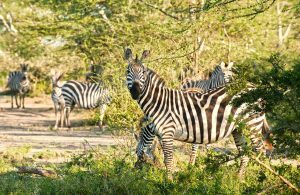 Safari tours are products that require an early arrangement so most safari lovers; who have been lately been showering Tanzania with praises, and even leading to Tanzania being voted – the best Safari destinations in Africa and the world, had already confirmed their next safaris tours in Tanzania.